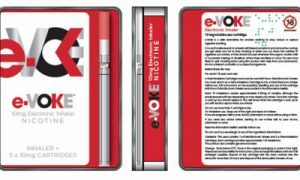 CLARIFICATION: Ok, so I really messed this time, telling you guys that the e-Voke was not really an electronic cigarette when in fact it actually is. The MHRA has recently awarded a medicine license to BAT-owned company Nicoventures for their e-Voke device, whereas I thought they were referring to the Voke inhaler, developed by the same company. It was an embarrassing mistake on my part and I apologize for doing the exact thing I have accused the media of – misleading you. Thank you very much Bill Stone for pointing out this error and giving me the chance to make things right! The Medicines and Healthcare Products Regulatory Agency (MHRA) has recently awarded a license to cigarette giant British American Tobacco (BAT), allowing it to market its e-Voke device as a smoking cessation aid. “Nicovations Limited, part of British American Tobacco’s Next Generation Products division, has been granted a licence by the Medicines and Healthcare Products Regulatory Agency for its rechargeable electronic cigarette, e-Voke,” a spokesperson for BAT confirmed. This means that physicians could now prescribe the e-Voke as an aid for people looking to quit smoking and the UK’s National Health Service (NHS) could offer them for free. According to an official MHRA document, the e-Voke Electronic Inhaler is made up of a battery and a stainless steel vaporizer, so it is in fact an electronic cigarette very similar to what we know as cigalikes. It comes with a USB charger, so it is a rechargeable device, not a disposable one. The e-Voke costs around £20 ($30) while replacement cartridges sell for £10 ($15). Cartridges are available in two nicotine concentrations (10 mg and 15 mg) and can be purchased in packs of 5, 10 or 20. 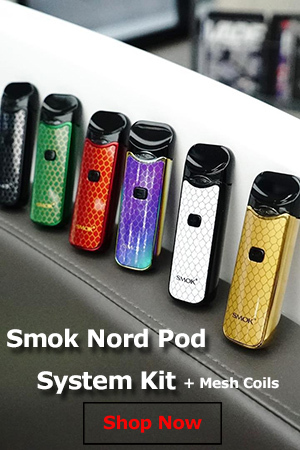 The Voke – the device I had originally confused the e-Voke with – completely does away with electronic components, batteries and heat, relying instead on a pressurized canister containing 20 refills of pharmaceutical-grade nicotine activated by a breath-controlled micro-valve. 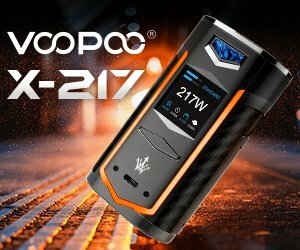 Every time the user draws on the device, they are administered a precise dose of nicotine. 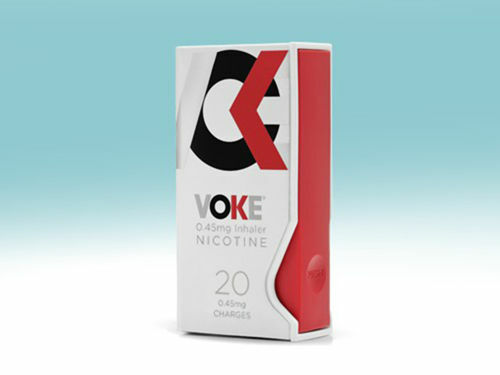 Basically, the Voke is an e-cigarette-shaped inhaler that’s no more an electronic cigarette than any other inhaler on the market. It doesn’t even produce any kind of visible smoke or vapor. “It is toxins in cigarette smoke such as tar, lead, cyanide and ammonia that cause smoking-related diseases and death, not the nicotine. The benefits of quitting smoking clearly outweigh any potential risk from using nicotine from NRT,” the MHRA added. This is in fact true for nicotine-containing electronic cigarettes in general, and the UK’s medicine approval agency said it would continue to encourage companies to voluntarily submit medicines license applications for e-cigarettes and other nicotine containing products as nicotine. I would like to say that is good news, but there’s no denying the drawbacks of medicinal regulation of e-cigarettes, compared to their regulation as consumer products. Once again, I apologize for this unfortunate confusion between the Voke Inhaler and the e-Voke Electronic Inhaler and any inconveniences it might have caused.